Chuckerman made Ms. Career Girl’s list of Must-Read Books for Fall by Our Favorite Female Authors! Read the full article here. I got to speak to Hank Garner about writing on his Author Stories Podcast. Listen to our conversation here. Parade Magazine names Chuckerman Makes a Movie as one of the ten best New Books to Take on Your Next Adventure. Read the full list here. Chuckerman Makes a Movie is one of Culturalist’s top ten Funny Books About Growing Up When You’re Already An Adult. Read full list here. 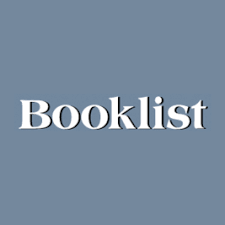 She Reads lists Chuckerman Makes a Movie as a book to read if you are missing Seinfeld. Read full article here. I gave a TED Talk at TEDxChicago 2018! Watch it below. Windy City Reviews says, I cannot recommend this book highly enough. This author needs to write faster, and I will be on the lookout for her next masterpiece. Read the full review here. Read about my writing journey in Voyage Chicago Magazine. Booklist says, With snappy dialogue and a witty collection of characters, Dickman’s debut is utterly enjoyable. Foreword Indie Reviews says, Art imitates life in Chuckerman Makes a Movie, a laughter-inducing novel of nostalgia and self-discovery. Five out of five stars! Read the full review here. Kirkus Reviews says Dickman’s debut novel is witty and observant throughout, and she packs her prose with sensory detail… A funny, romantic story… Read the full review here. Kelly Konrad of Chicago Now calls Chuckerman Makes a Movie “an entertaining and even touching read.” Read the full review here. 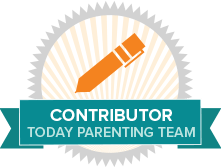 I’ve recently become a Contributor to Today Parents. 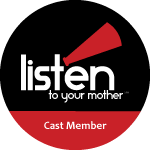 I was part of the Chicago cast of Listen to Your Mother 2016! Enjoy my video below. Enjoy the entire show here.